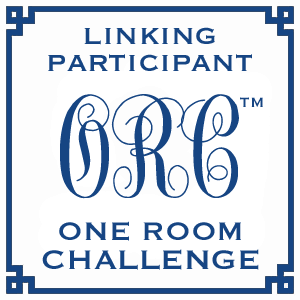 It’s the last week of the One Room Challenge and it has been so much fun. 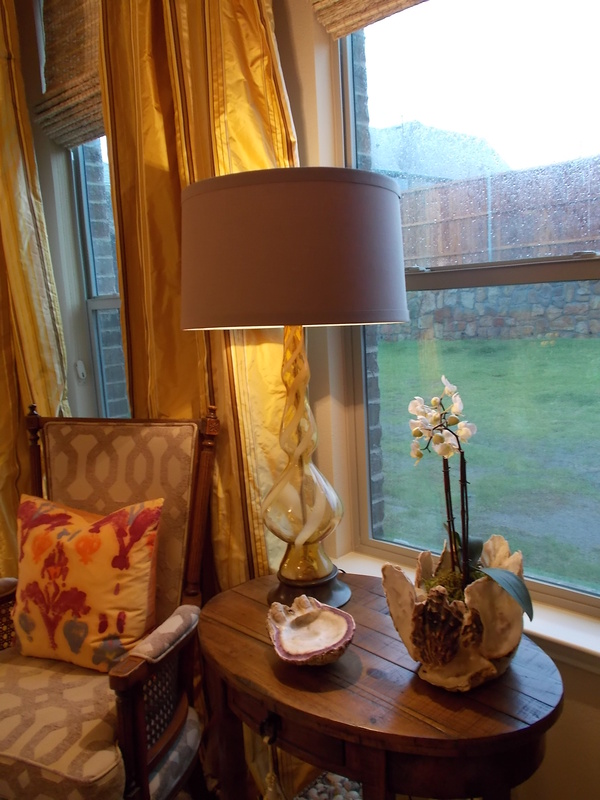 In six weeks, I’ve transformed my Master Bedroom into a warm and inviting space that I love! If you missed the first five weeks, you can catch up on them here: Week 1, Week 2, Week 3, Week 4, and Week 5. I’m so excited to show you the results, so here goes! I had hoped to have better light for the pictures, but Mother Nature had other plans. As I’m writing this, we are in the midst of a big Texas thunderstorm. Our power keeps going flickering, so I’m going to keep this short and try to get it posted before I have no internet or power. Samsom, by the way, hates thunderstorms, and it was hard to keep him out of the pictures. I cropped him from a few, but I left him in this last photo. My husband felt it was a wee bit unfair that I dedicated so much of my last week’s post to Delilah, so here’s Samson moment of fame. Thank you, Linda, from Calling It Home, for giving us this opportunity to spend six wonderful weeks of being creative under pressure. I thoroughly enjoyed the challenge and can’t wait to tackle my next room. 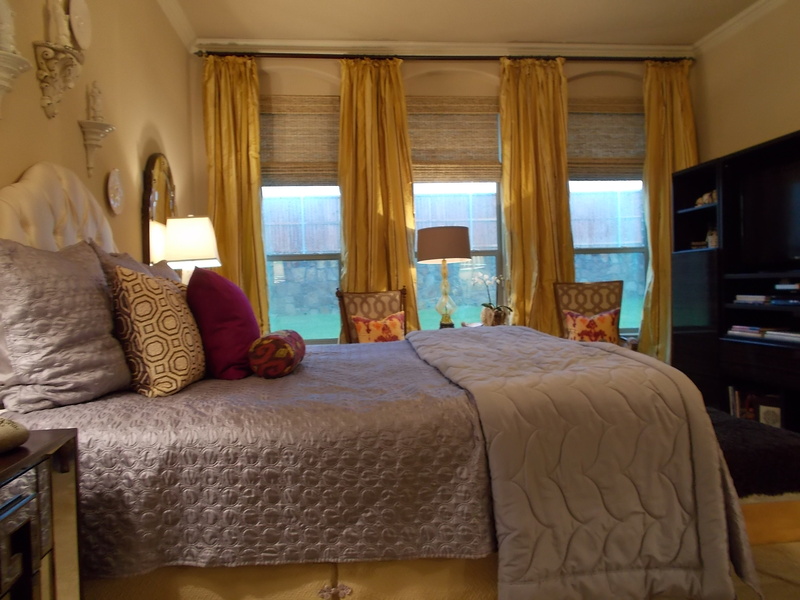 Please look at all the other wonderfully inventive rooms at Calling It Home! What a beautiful room!! It is sooo warm and cozy looking! Love it!! It looks like a swanky hotel in New York! Nicely done! I love the after and all the changes that you made. Now enjoy it! So luxe and inviting. It’s beautiful. Congrats. Gorgeous! 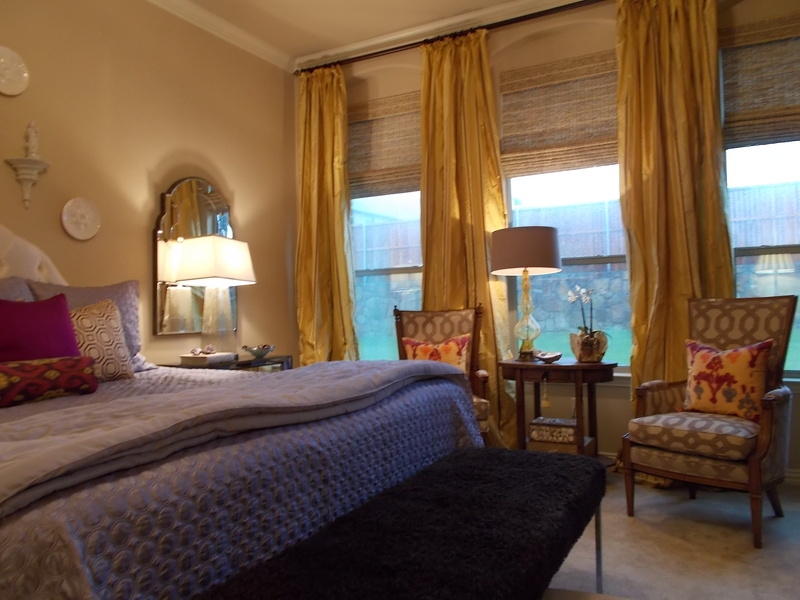 I just love the drama of the high ceilings with the curtains. The bedside tables are gorgeous as well. Nicely done! I’m in love with so many details about your master. 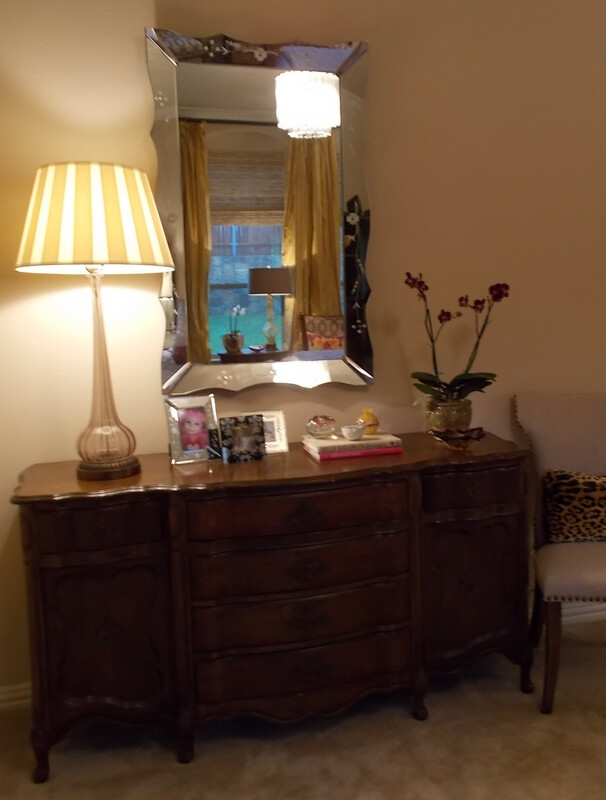 Love the side table and mirrors the most! Great job! Holy Smokes, what a gorgeous room! Seriously beautiful. I really love your orchid pot cover–such texture! 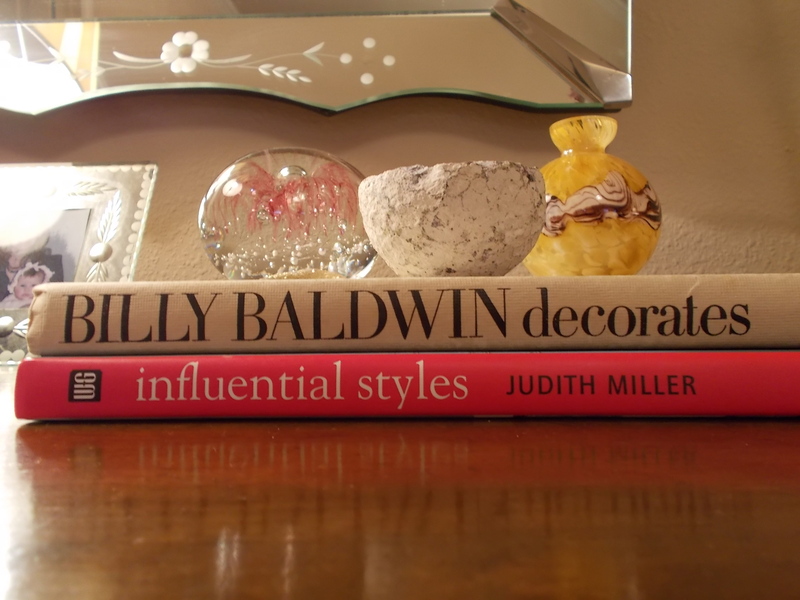 You do table top vignettes very well, too. 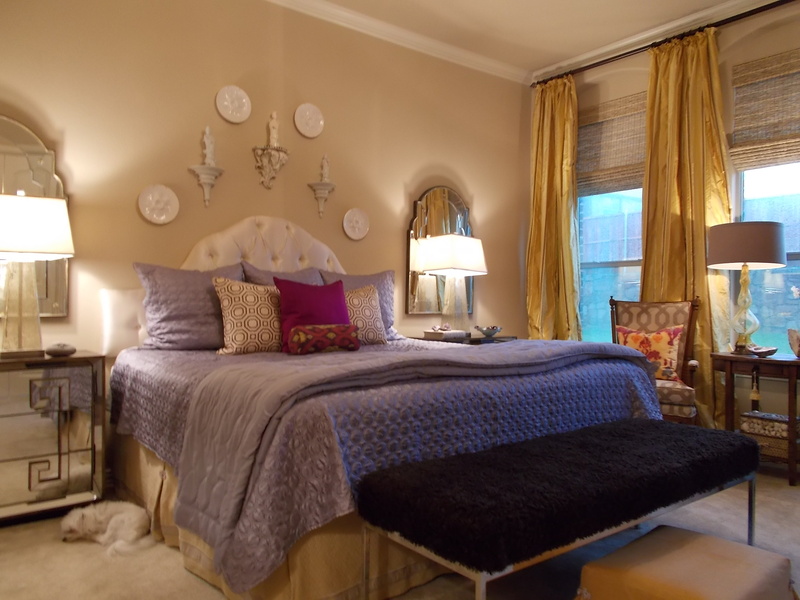 Beautiful room Rachel! 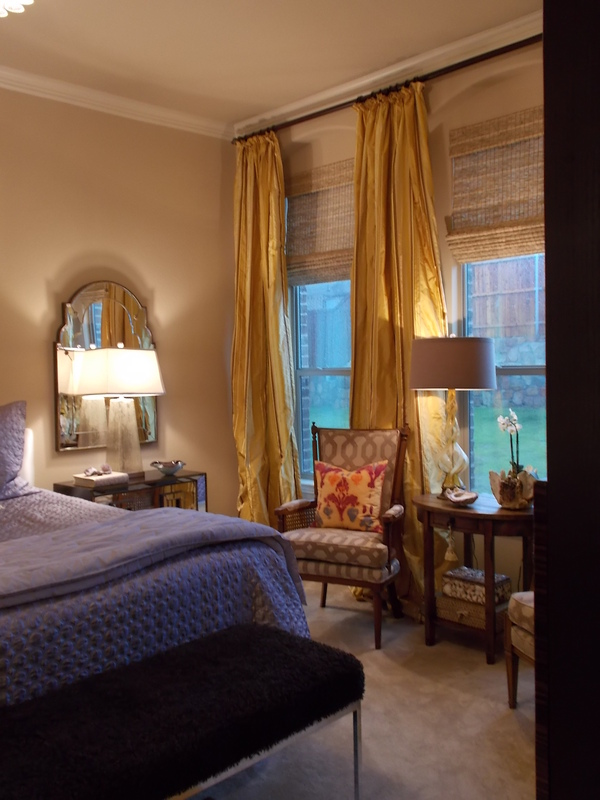 Love those mirrored night stands with the greek key and the gorgeous curtains. It makes me think I really need to do a little freshening up in my bedroom! I love your color combinations; calm and elegant. 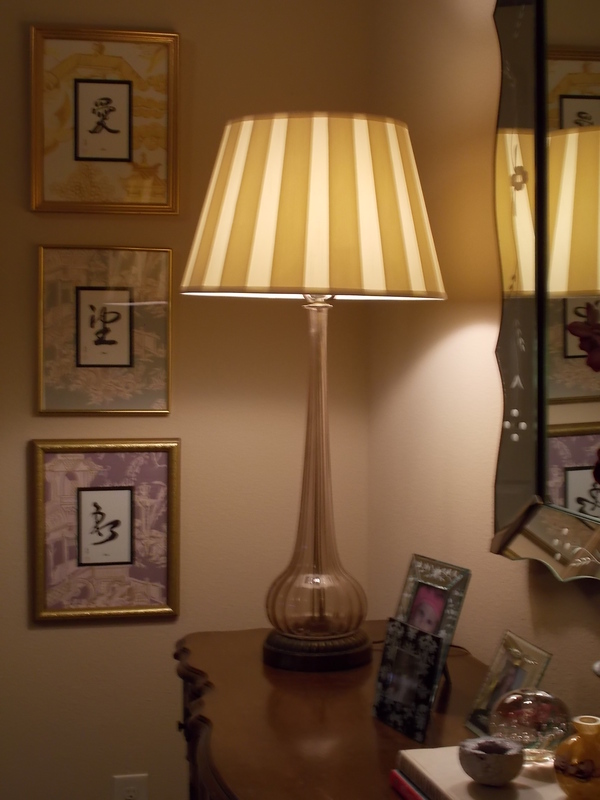 Your mirrors and bedside tables have me chartreuse with envy! Those drapes!! Sooo lovely, the whole room! And I love the color combination. Love your room! Such wonderful, moody drama. You did a fantastic job! 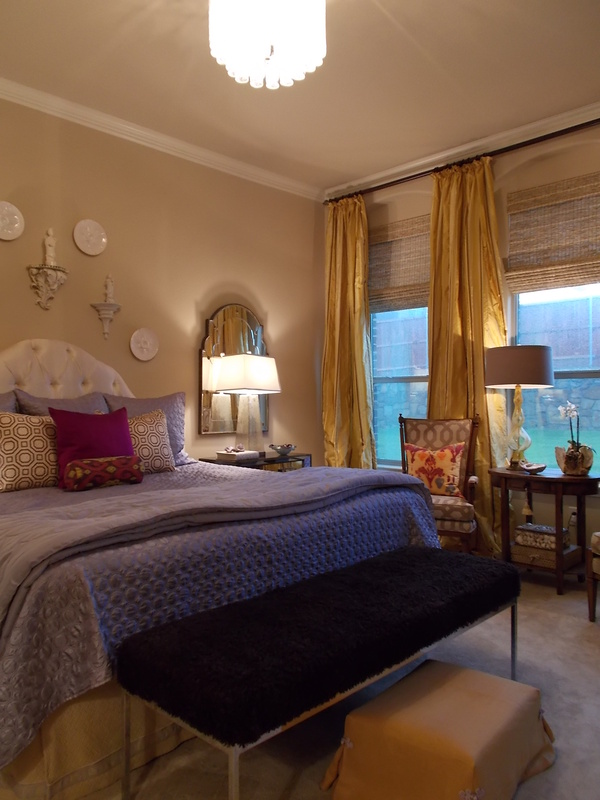 I am seriously in love with this room! 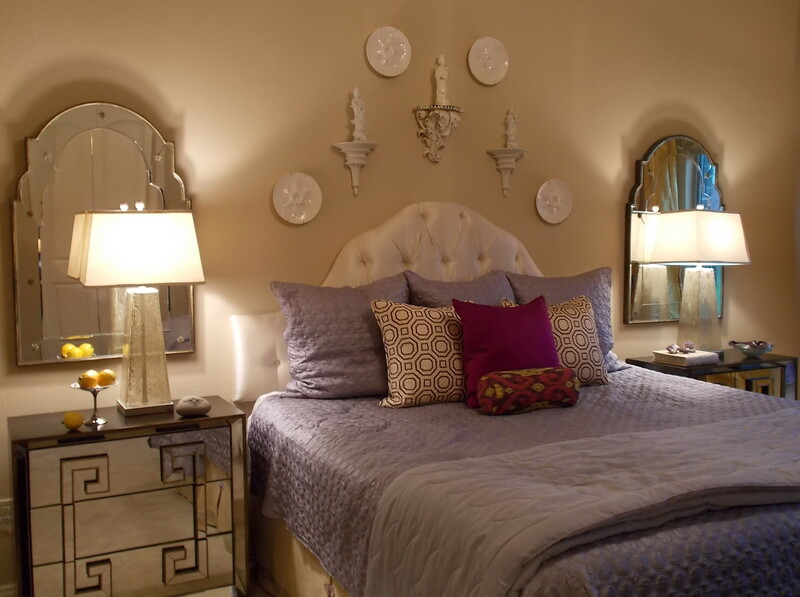 I would never have thought to mix the gold tones, silver with mirrors, and shades of purple together but it looks terrific! Home run!!!! You did an amazing job! Al the layers of texture, it is stunning. UGH, I hate when Mother Nature does not cooperate, too. I would love to read a book or hang out in this room. Lovely. What beautiful colors for a master! 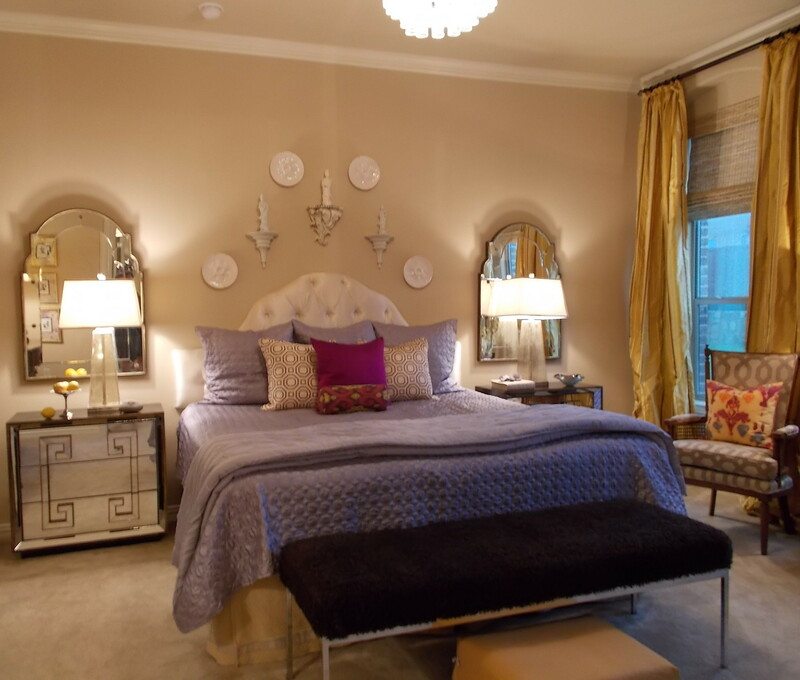 I love all the details especially the mirrors and nightstands, that awesome bedskirt w/trim and the gorgeous lighting you used in the space! Well done!